Fantastic runs with an all-new Lumiere's Two Course Challenge and Disney Wine & Dine 10K, plus Half Marathon, 5K, runDisney kids races, Post Race Party and more! 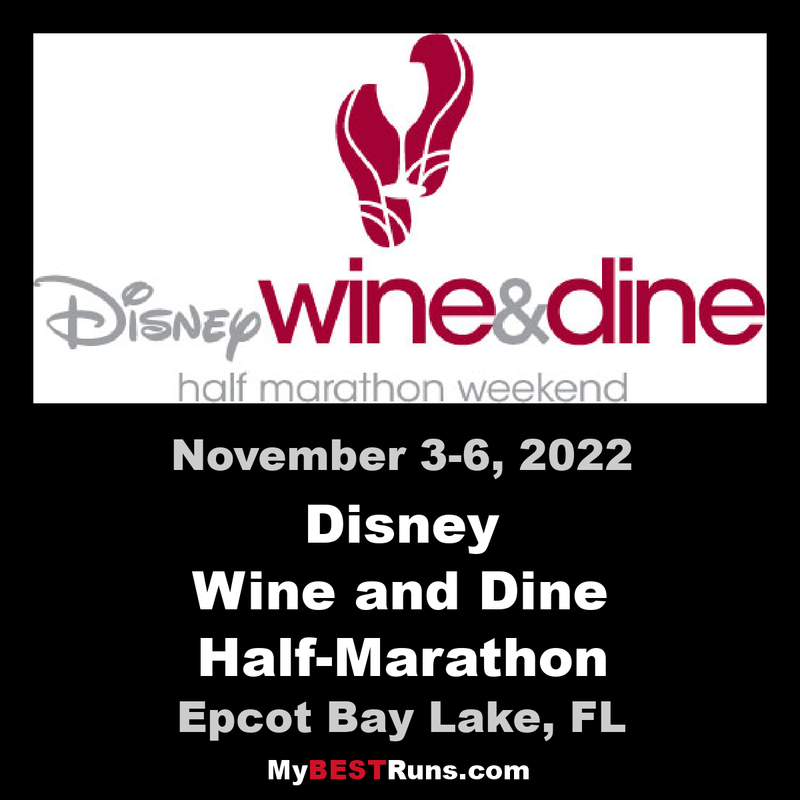 Join the celebration and prepare to feast on a whole new exciting menu of races during the Disney Wine & Dine Half Marathon Weekend. All-new for this year is Lumiere's Two Course Challenge and the Disney Wine & Dine 10K in addition to the Disney Wine & Dine Half Marathon, Mickey's Holiday 5K and runDisney Kids Races. Plus, there'll be plenty of surprises, Disney entertainment, and an exclusive Post Race Party for runners and their guests.